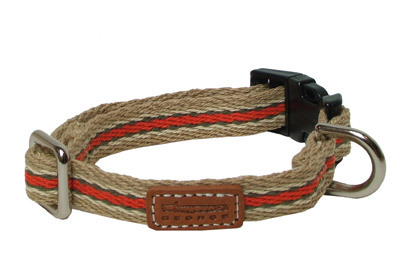 Sturdy cotton webbing collar with woven khaki, orange, olive and crème stripes. Snaps closed with a durable plastic fastener. Leather George logo patch.